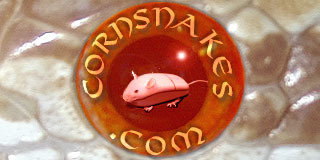 I just bought a baby pewter corn on saturday and it has been feeding on tuesdays from what I was told. Should I still try feeding on tuesday since I just put it in a new enclosure and it will have only been 3 days since it was introduced to the enclosure. Second, are the Zoo Med reptitemp thermostat or Exo Terra 100w thermostats any good? Or any other recomendations in that price range? You can try to feed it. Conventional wisdom is leave your snake alone to acclimate for at least a week. I'm unconventional and have even fed hatchlings on the same day FedEx delivered them. Some eat immediately in their little deli cup, and others eat in the same rotation as my other hatchlings. A lot depends upon the method you use to feed it. I usually feed new baby corns in a covered deli cup. If I feed in their container I use tongs and make sure they grab the pinkie. As far as temp controls one is just about as good as the others, typically made in China. I have read good and bad reviews on both. I bought an InkBird temp controller ITC306T. It is used by plant nurseries a lot for seedling beds. So far it has been a good one. Since I don't trust electronic devices totally, I have a digital thermometer on each of my racks. Thank you for the information. I have 2 thermometers one on the cool side and one on the warm side.